Our work focuses on the role of neuronal oscillation in cognitive and motor function. We take a multidisciplinary approach centered around electrophysiological measures of brain function as readouts of normal and pathophysiological endophenotypes of pediatric brain disorders. Our experimental models range a wide spectrum of the evolutionary tree to include teleost fishes, rodents, macaques, and children with developmental disorders. 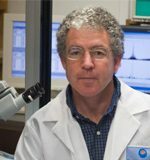 Major techniques in the laboratory include multielectrode extracellular recordings in vivo, dual whole-cell recordings using brain slices maintained alive ex vivo, neuronal cultures, gene transfer, behavioral conditioning, and deep brain imaging.